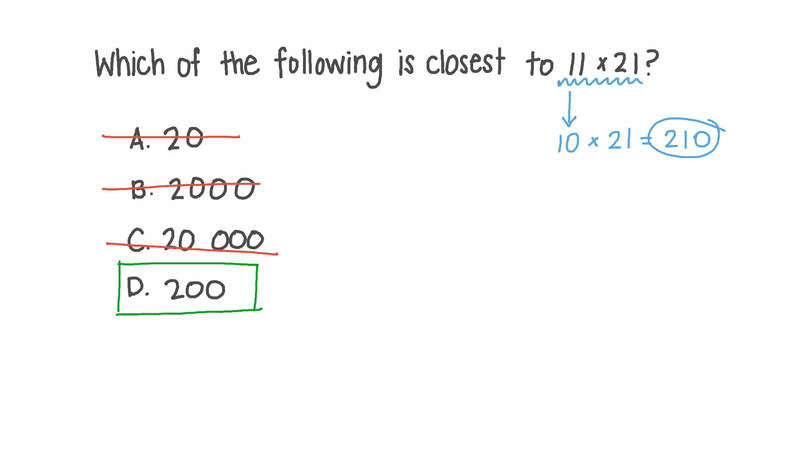 In this lesson, we will learn how to estimate the product of two positive two-digit numbers by rounding, without using a calculator. Which of the following is closest to 1 1 × 2 1 ? Which of the following is closest to 1 6 × 8 2 ? Which of the following is closest to 9 1 × 7 3 ? Which of the following is closest to 8 2 × 4 8 ? Which of the following is closest to 6 6 × 5 7 ? Which of the following is closest to 7 9 × 4 6 ?